The Dentist of Darkness on GoodReads. Archie McBudge’s lazy summer has just turned into a magical meltdown! The second adventure in this madcap magical mystery series is perfect for fans of How to Train Your Dragon, amateur detectives and anyone who loves SWEETS! Archie McBudge was planning a sweet summer at Honeystone Hall. Picnics by the loch, watching the honeydragons flying around the hillsides, chasing ghosts through the shadowy castle hallways, and of course, testing out all the new sweets from the McBudge Confectionery Factory. But now the Wyrdie Tree, source of all the magic in the town of Dundoodle, is dying, and the guardian must save it before Dundoodle’s magic is gone for good. And who’s the guardian, you ask? That’s right, Archie McBudge. 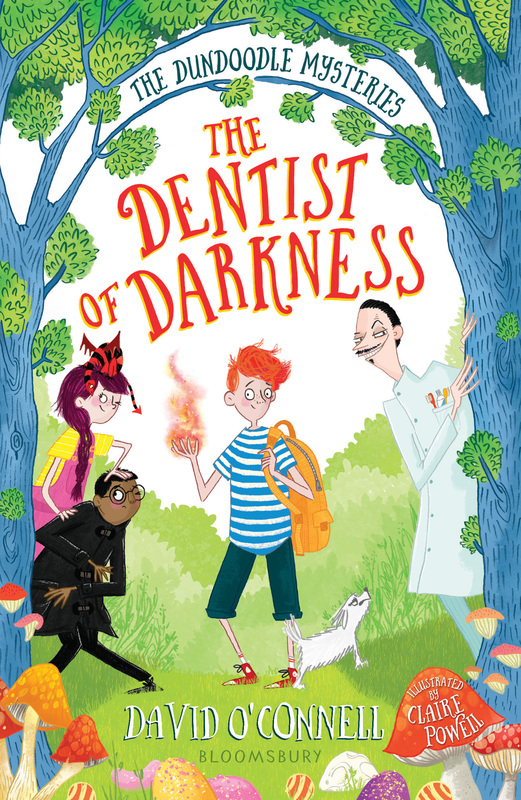 With enemies on every side, puzzles to solve and secrets to uncover – not to mention a very scary dentist to avoid – Archie’s summer’s looking less like a strawberry marshmallow dream and more like a super-sour sherbet lemon with exploding bits that make your mouth go numb for a week! Written by me with illustrations by Claire Powell. Buy local! Please support your local bookshop if you have one! You can find your nearest bookshop using this link. Alternatively, you can use Hive to order a book online and have it delivered to a shop near you.